Specializing in heated stone therapy. Call or text Maureen (619-246-4159) to book an appointment. home in the Mission Bay area. All treatments include your choice of exfoliation, aromatherapy and foot scrub. Bay Breeze Massage specializes in Heated Stone Massage, but offers other massage techniques as well. All the modalities can be blended. Maureen also has experience working with individuals who have health challenges ranging from dementia, strokes, brain tumors, and cancer. I’ve had many massages around the world, and nothing compares to Maureen Mason’s hot stone massage and her wonderful extra touches, like her amazing homemade muffins, and personal attention to every detail. If you want to experience a best of class massage, go visit Maureen in her home. It is filled with peace, love and serenity, and she is a creator of beauty with the touch of her hands. Her craft is remarkable… intuitive, sincere, and a true heavenly encounter. She used just the right amount of verbal communication to check in with me as to whether the touch or movement was the right pressure for me, the temperature and setting perfect for me, the table and coverings comfortable for me, and did so without disturbing the reverie that I consistently fell into under her skilled hands. 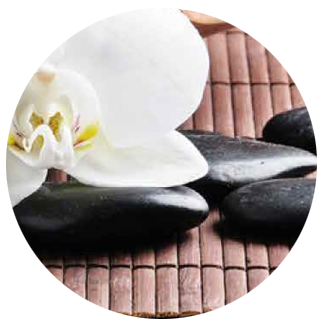 Your massage or bodywork session will take place in a warm, comfortable, quiet room. Soft music will be played to help you relax. You will lie on a table especially designed for your comfort.